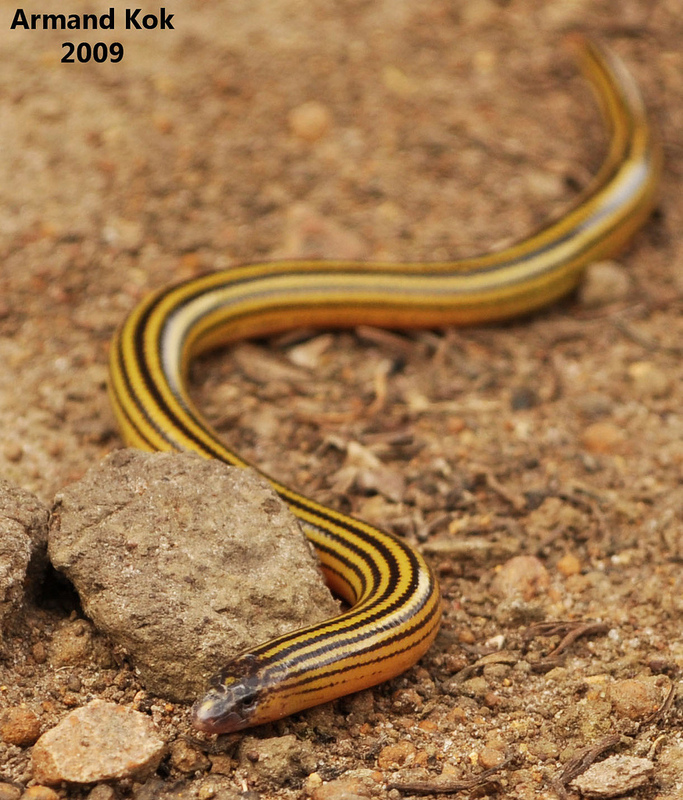 Do you remember how the Slow Worm was a lizard with no legs? And Bill was like "how's that"? It was over a year and a month (and a week and a day) ago now but as an example of just how much of my mind this blog occupies, let's look at some Skinks! Skinks are in the family Scincidae and there are LOADS of them. Loads and loads. In fact, they are the second biggest of all the lizard families. Only Gekkonidae is bigger, which are the Geckos of course! So there are at least 1,200 Skinks in the world, probably lots more yet to be discovered. 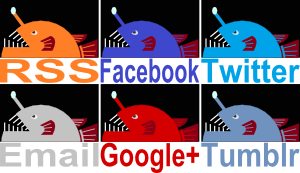 As you can imagine, they come in all sorts of shapes and sizes. Some look much like your classic, little lizard. 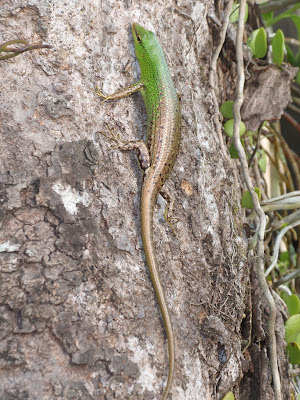 The Emerald Tree Skink lives in the forests of various Southeast Asian Islands. They have the long legs, long toes and long tails they need to climb trees and catch insects. 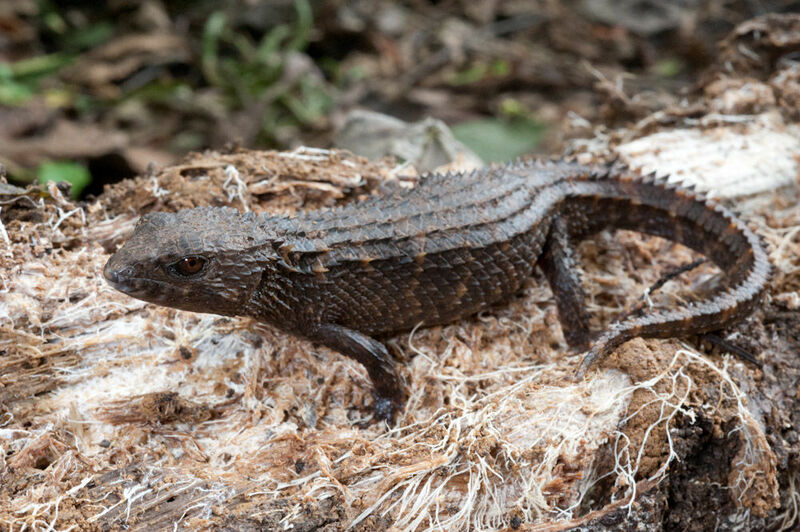 If you remember the Red Eyed Crocodile Skink, you'll know that some Skinks look a little more old-fashioned. As in prehistoric. 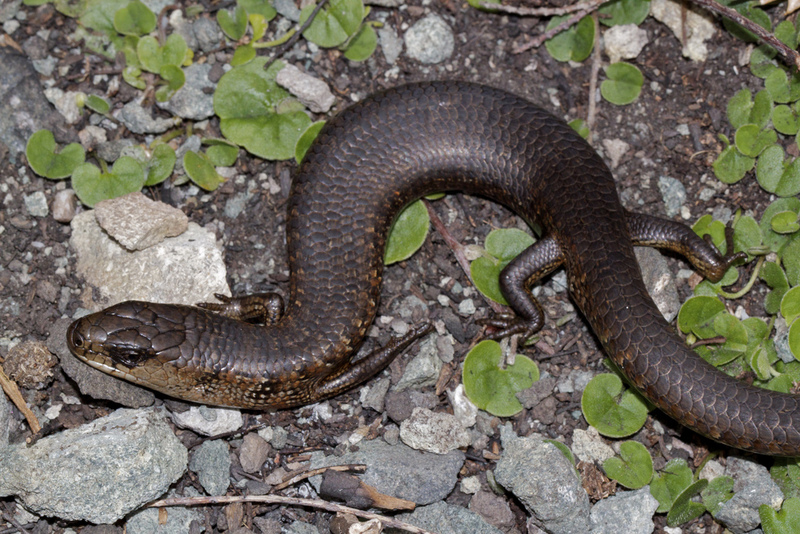 Gray's Water Skink lives near lakes and streams in the Philippines. It actually prefers land, but it can swim when threatened. It can also climb trees, which is what happens when you have the appropriate claws at the end of your toes. Females are the larger of the species and can reach about 25 cm (10 in) long. Others are a lot more glitzy. 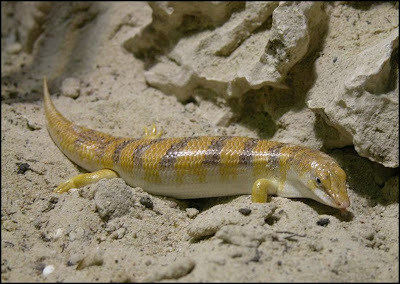 Schneider's Skink ranges from North Africa to the Middle East and Central Asia. There isn't much water where they live, but they can dig into the sand when they want to. 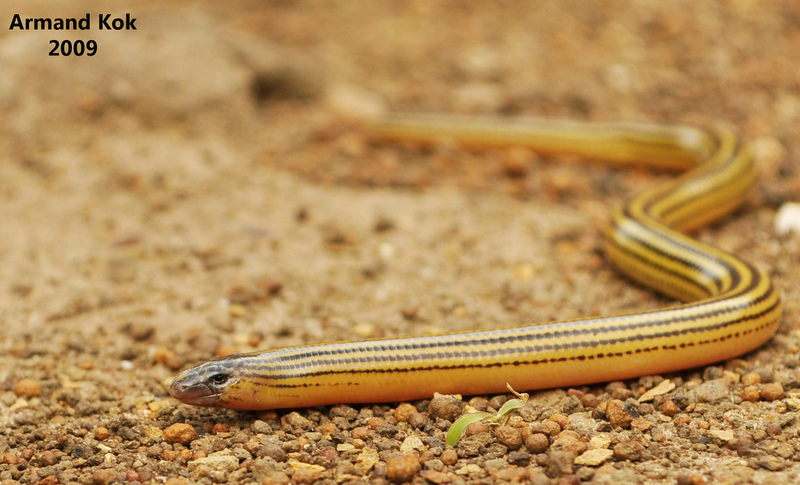 They reach up to 45 cm (18 in) long and have a wide, omnivorous diet. You can't be too picky in those arid lands. It's all about staying alive, staying alive. 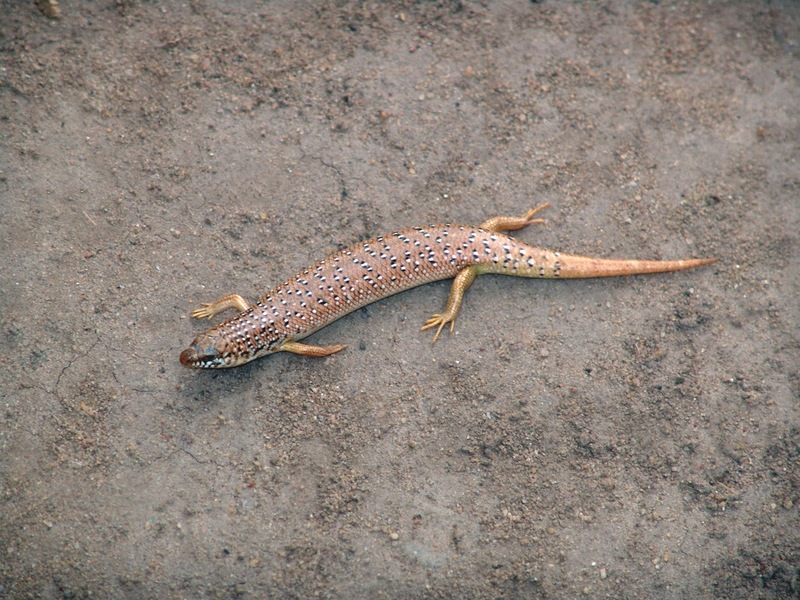 The Ocellated Skink can be found in a range of habitats around the Mediterranean, including scrublands, farms and gardens. All they need is an open area for basking in the sun and some vegetation to hide in when predators come calling. They can reach 30 cm (1 foot) long and you can see that there's quite a distance between each pair of their rather short legs. Despite that, they are quick and agile enough to do very well for themselves. They're clearly not built for speed or long distance running, though! It's a Sandfish! 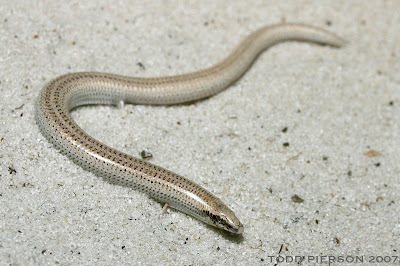 You know something weird is going on when a lizard is called a Sandfish! 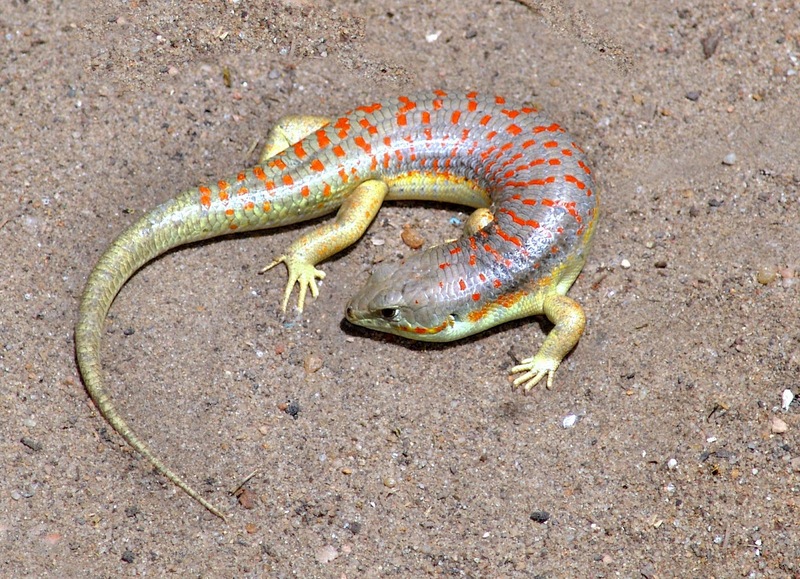 This is another North African Skink that lives on arid land and reaches 20 cm (8 in) long. It doesn't look all that different from the previous ones - it still has well developed, albeit short, legs. 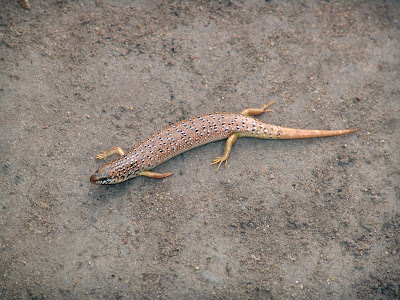 But this Skink dives into soft sand with impressive speed to escape predators and excessive heat. They have a long, wedge shaped snout with a lower jaw that slots into the upper one. They also have tiny little nostrils, so both their mouth and nose are protected from the sand. Even their scales are particularly smooth and resistant to abrasion, to the extent that they've been studied for inspiration. Also of note is that x-ray imaging has shown that they don't use their legs to sand-swim. Those annoying limbs are held against the body as the Sandfish snakes and undulates its way through the earth. They can also detect the vibrations of moving insects, so they don't even need to see them to find them! So what happens when a sand-swimmer spends more time burrowing and less time walking? The Unpatterned Robust Slider lives in Western Australia, far away from North Africa. It reaches 10 cm (4 in) in length not including tail, but it has utterly puny limbs. Not only that, but it has just 2 toes on the front legs and 3 on the hind. All the other lizards so far had the usual 5 on each. 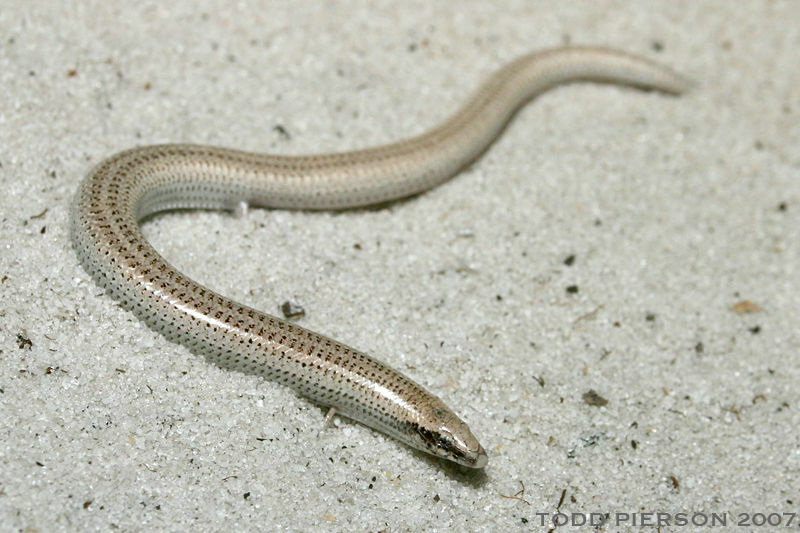 The Florida Sand Skink is even worse, with just 1 toe on the front legs and 2 on the hind! They also have grooves to tuck their forelimbs into, because even one, solitary toe is an annoyance for this veteran sand-swimmer. Best of all they have transparent windows on their lower eyelids so they can see with their eyes closed. Sand-goggles! They are about as long as the Unpatterned Robust Slider, but about half of that is a long tail. And of course, they come from just a small part of Florida, all the way on the other side of the world! 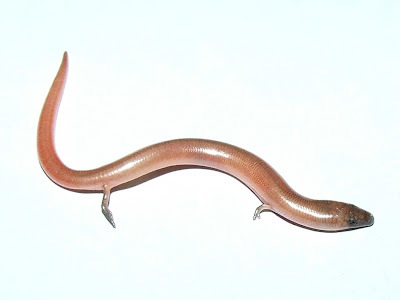 And between east and west is the Cape Legless Skink from South Africa. They've gone the whole hog and gotten rid of their limbs altogether. They burrow, but are also found under rocks and logs. It's a shame they're so hidden; they look lovely! But it isn't just sand burrowers that lose their limbs. 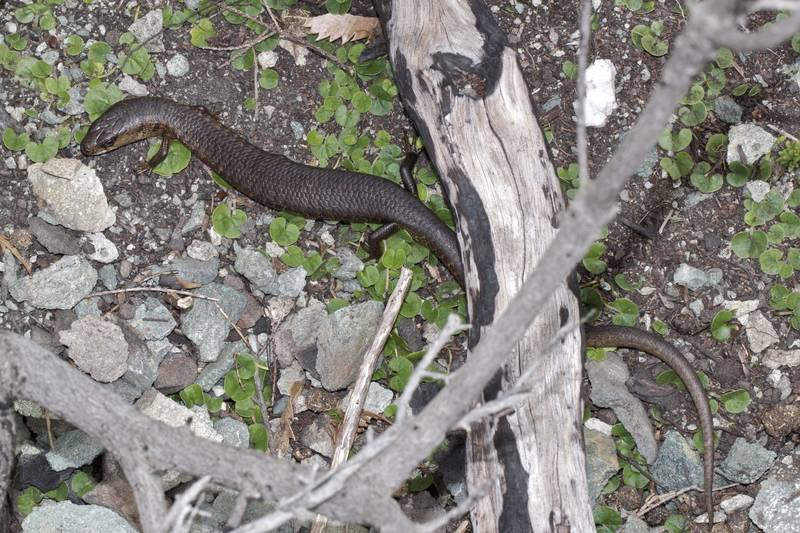 The oddly named She-oak Skink can reach 40 cm (16 in) long, more than half of that made up by an extremely long tail. They are found only in Tasmania and have legs so short and far apart that they appear quite useless. 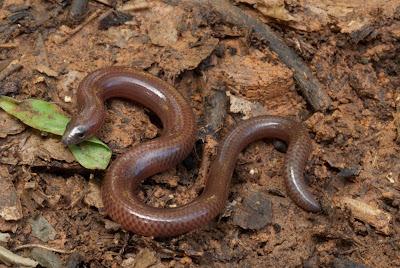 Even more extreme is Linnaeus' Writhing Skink from Southeast Asia. They reach about 8 cm (3.1 in) long, not including their long tail. They live in, under and around rotting logs, tree roots, loose soil and leaf litter. So they're not swimming beneath the surface of sand, but they're still snaking their way through dark, claustrophobic habitats. 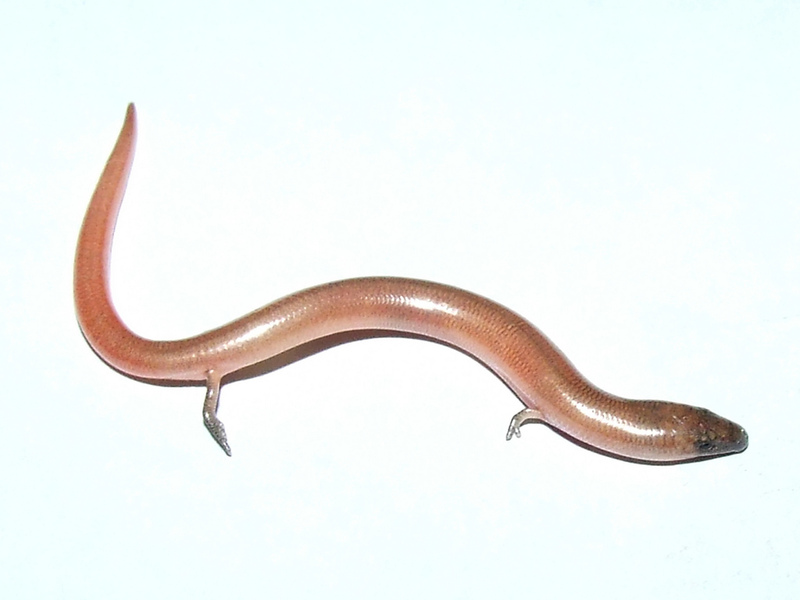 Which brings us to Brachymeles minimus, another completely limbless Skink. 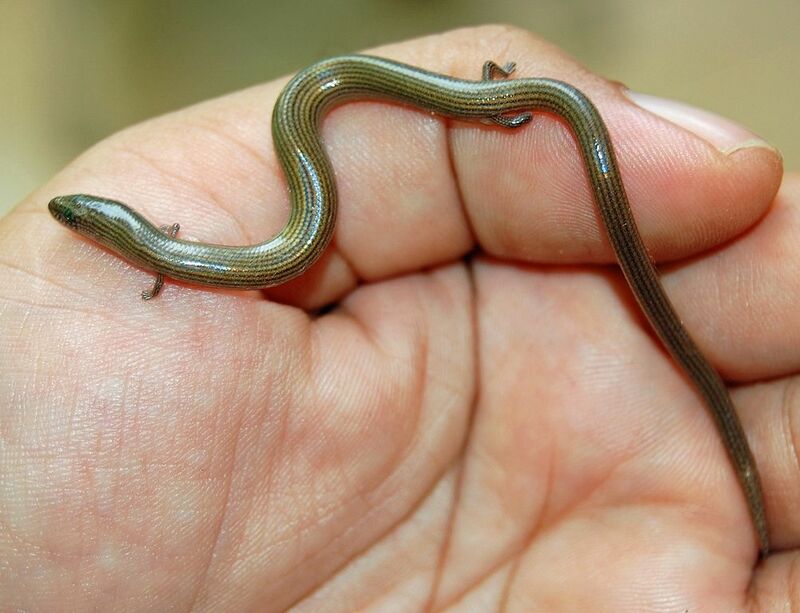 They lead a similar life to Linnaeus' Writhing Skink but are slightly shorter and are found on just one island in the Philippines. The genus Brachymeles is cool because it also contains puny limbed species with missing toes and others with more reasonable legs and all 5 digits. They look so smooth and shiny! So limblessness in Skinks has evolved over and over again in populations across the world living in completely different habitats. 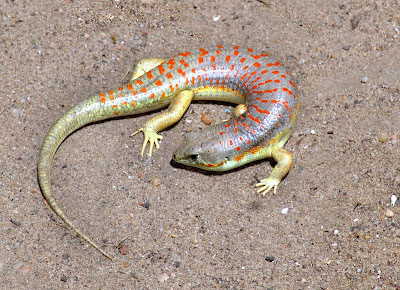 And it also evolved independently in other lizards who aren't Skinks at all. Not to mention the fact that snakes and lizards both came from something that had legs. Phew! I want to say something about "shake a leg" and how legs are "no great shakes", but I'll spare you. More advanced? Hmm... I would say snakes have grown far more accustomed to having no legs, so you end up with ones that swim, climb trees, glide and everything else. Skinks are far more limited in that regard. 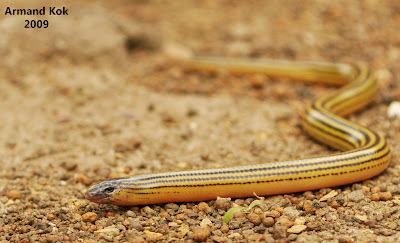 The Cape Legless Skink looks like it has go-faster stripes, but I don't think they're THAT fast! I just spent like five minutes looking at the She-oak Skink legs, trying to make sense of them. Hahaha! They're really strange. They're in this weird area where they could be entirely useless, or they might be good for certain circumstances but it's difficult to think of what those circumstances would be. some of the most beautiful critters around. I love how smooth and shiny they are. Bee Gees stuck in your head, I don't know whether to laugh or cry! True. She-oak skink looks the weirdest. If you cover the right-side of the photo, one would easily say it's a snake. Yes! Lizard backbones aren't usually that squirmy! Amazing post. never thought about lizards and snakes this way. Thanks for sharing. Yup! Some of them are quite beautiful!